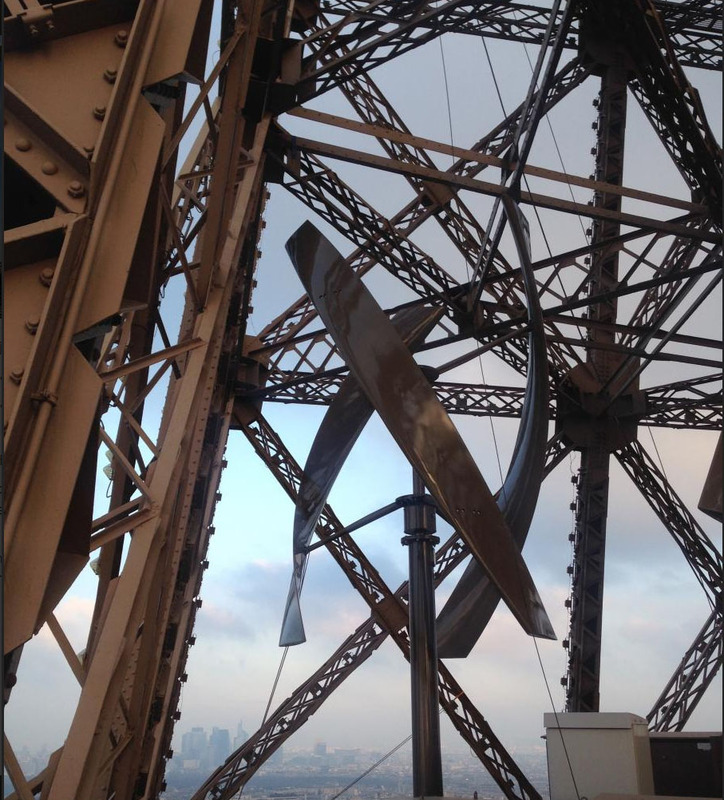 UGE has mounted two vertical axis turbines on the Eiffel Tower. 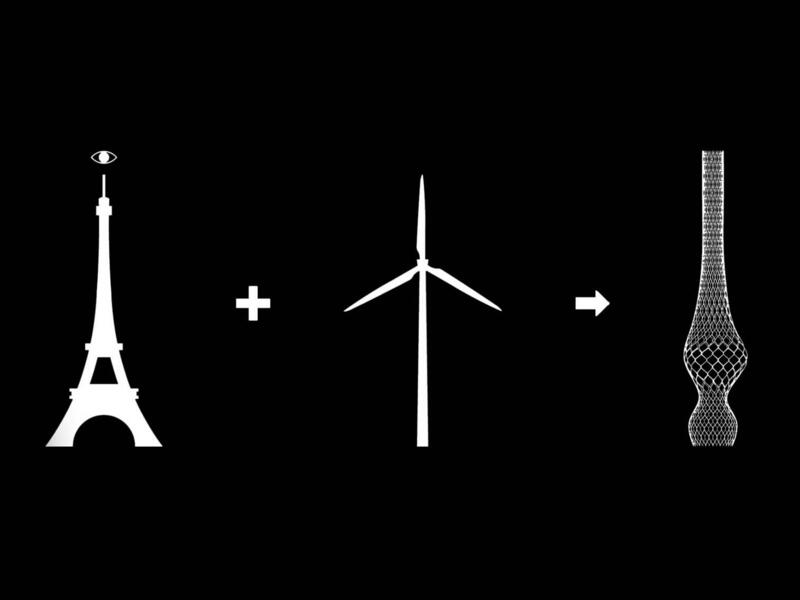 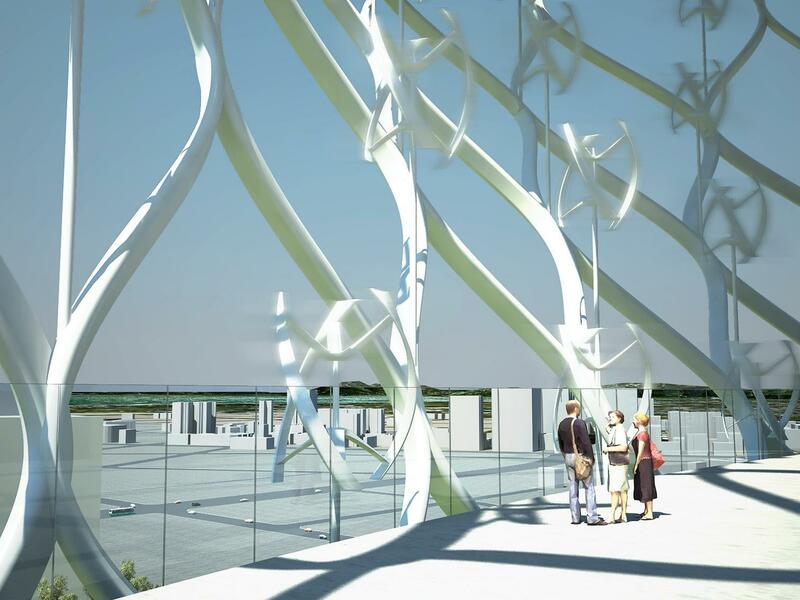 “Located above the second level, the turbines will produce over 10,000kWh of electricity a year, offsetting the annual consumption of all commercial activity on the Eiffel Tower’s first floor. 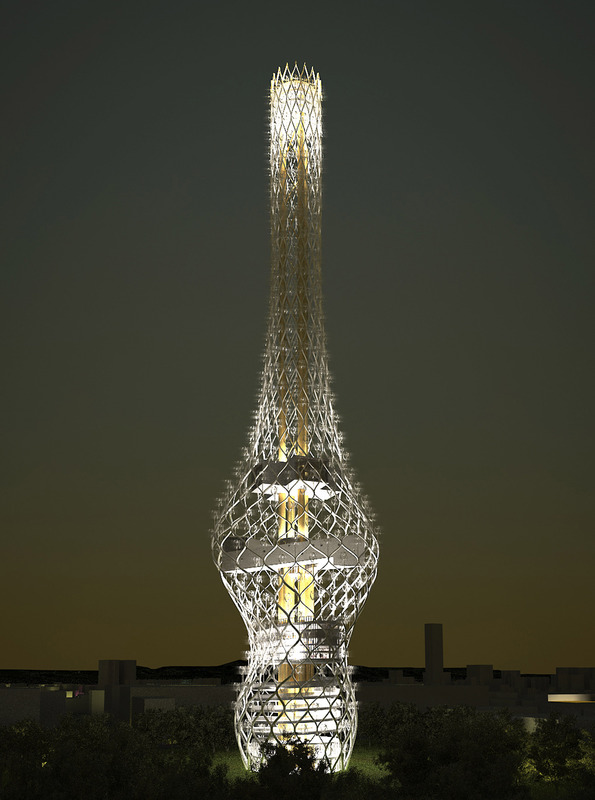 The two UGE VisionAIR5 vertical axis wind turbines were specially painted to match the iconic tower, and are located 400 feet above ground level to maximize energy production”.